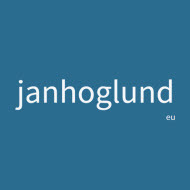 Posted byJan Höglund	 2015-08-18 Leave a comment on What if control is inappropriate? My conclusion after having read Brian Robertson’s new book on Holacracy and Gerard Endenburg’s first book on Sociocracy is that neither Holacracy nor Sociocracy replace Command & Control (C&C). Both use C&C within limits. This triggered feedback from Holacracy people that the Lead Link Role doesn’t manage day-to-day work and doesn’t manage others, but that there is definitely control in Holacracy. All Roles “have the authority to control and regulate” their own Domains (Holacracy Constitution v4.1, 1.4 Authority Over Domains). There is definitely control in Sociocracy too. My follow-up question is: What if control in itself is inappropriate? 1 David S. Alberts, The International C2 Journal | Vol 1, No 1, 2007, pp. 15—16. 2 Simon Reay Atkinson & James Moffat, The Agile Organization: From Informal Networks to Complex Effects and Agility, pp. 5—6, 7. 3 Stanley McChrystal, Team of Teams: New Rules of Engagement for a Complex World, (Penguin, 2015), p. 68. 4 Norm Hirst, Towards a Science of Life as Creative Organisms, (Cosmos and History: The Journal of Natural and Social Philosophy, vol. 4, nos. 1-2, 2008), p. 93. 5 Ralph Stacey, Dialogic Organization Development: The Theory and Practice of Transformational Change / Gervase R. Bushe & Robert J. Marshak, editors, (Berett-Koehler, 2015), p. 153.